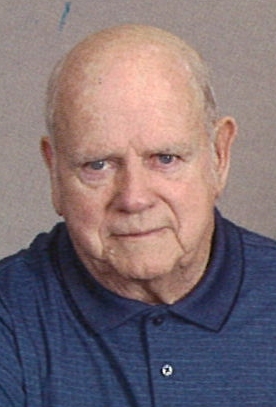 William E. “Bill” Budd, 89, of Bettendorf, passed away Wednesday, February 6, 2019 at Clarissa C. Cook Hospice House, Bettendorf. A Mass of Christian of Burial will be celebrated for Bill at 10:30 a.m. Saturday, February 9, 2019 at St. John Vianney Catholic Church, 4097- 18th Street, Bettendorf. Burial will be in Davenport Memorial Park. Visitation will be from 9:30a.m. until the time of the Mass Saturday at church. Memorials may be made to Haiti Fund @ St. John Vianney Catholic Church or Quad City Animal Welfare Center, 724 2nd Avenue West, Milan, Illinois. Halligan-McCabe-DeVries Funeral Home is assisting the family with arrangements. William Eugene Budd was born on February 10, 1929 in Peoria, Illinois, a son of Charles and Nellie (Sebree) Budd. He graduated from Manuel High School in 1946 and enlisted in the Army where he served from 1946 until 1948, primarily in Japan. He later re-enlisted during the Korean War serving from 1949 until 1952. Bill was united in marriage to Eileen Ricca on April 15, 1950 at St. John’s Catholic Church in Peoria. They met on a blind date set up by Eileen’s brothers. After forty years of marriage, Bill went through RCIA at St. John Vianney and became Catholic. Bill and Eileen shared over 57 years of marriage together before Eileen’s passing on May 9, 2007. Bill went to work for Caterpillar in Peoria in 1955. While working for Cat, he earned a patent after designing a chain locking mechanism. He went to work for J.I. Case as a mechanical engineer from 1961 until his retirement in 1987. Bill was a member of St. John Vianney Parish, where he was part of Forever Young and an usher at funerals. He also delivered Meals on Wheels alongside his bride, Eileen, for many years. Bill enjoyed fishing, playing cards, especially pinochle and euchre, and spending time with his family, especially grandchildren and great-grandchildren. He also enjoyed woodworking and realized a bucket list dream of building his own home in 1975. Bill also helped to build the climbing cube of the tot spot exhibit at the original Children’s Museum in Bettendorf. Survivors include his children and their spouses: Steve (Debbie) Budd, Bloomington, Minnesota, Roger (Sherry) Budd, Elgin, Illinois, and Becky (Jim) Seward, Bettendorf; grandchildren: Kelly (Edwin) Orellana, Eric (Pauline) Budd, Jeremy (Jamie) Budd, Jennifer Budd, David (Betty) Budd, Tony (Teanna) Seward, Nick (Amy) Seward, Stephanie (Michael) Brey, Lisa (Jamie) St. John, eleven great-grandchildren, and his faithful canine companion, Milo. In addition to his wife, Eileen, Bill was preceded in death by his parents, a brother, Robert Budd, and a great-granddaughter, Lyndsey.